But how do they benefit YOU? Lasso features concise and consistent syntax, a friendly, helpful community and support for popular WYSIWYG tools. Whether you’re a beginner looking for a soft entry into the world of programming or a multi-tiered global IT department looking to minimize the impact of multiple touchpoints, Lasso’s short learning curve is the fastest route to maximum production. The result are in…Thanks to its next-generation design and native compilation, Lasso trumps Python, PHP, and Ruby in typical speed tests. 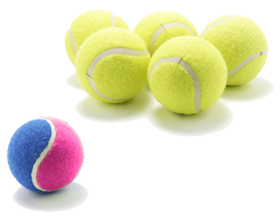 From fractals to fibonaccis, Lasso is faster than the competition. And that means a smoother, more rewarding experience for your end-users. 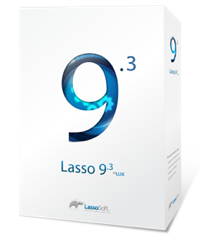 Similar products require custom builds and third-party add-ons to enable features and functionality that Lasso 9 offers right out of the box. Essential elements such as image manipulation, PDF generation, POP and SMTP integration, iCal support and more are standard equipment for Lasso. We guarantee you’ll appreciate the stability and performance — and won’t miss navigating the square-peg-in-a-round-hole compatibility gauntlet of the past. 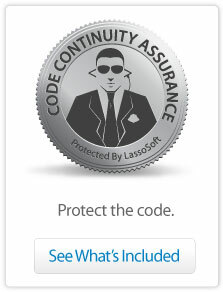 By design, Lasso’s been developed to meet the needs of everyone from basement programmers to huge multi-nationals. Its scalability is virtually unlimited thanks to C and Java APIs, as well as the ability to create custom data types directly within the language. Scripts can interact directly with the operating system, and there are even wrappers for SOAP services, java beans, and servlets. Lasso has always been a forward-thinking platform, providing benefits like full Unicode compatibility long before its competitors. That trend continues with new features like native compilation, traits, query expressions, and the ability to create runtime executables. 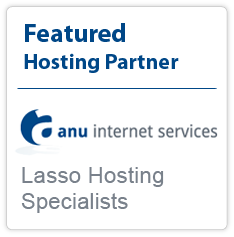 Lasso 9 is more than capable of pulling together the myriad of disparate proprietary and legacy systems that haunt the servers of companies around the world. Lasso runs on Windows, Linux, and MacOS X platforms, works with any FastCGI-compatible web server, and includes native connectors for the most commonly used datasources, plus ODBC, JDBC, and LDAP — and no technology has been putting FileMaker databases on the web longer than Lasso. No competing product offers you the Lasso advantage. But don't take our word for it, download the free Developer Edition of Lasso 9 and begin to see the benefits for yourself!